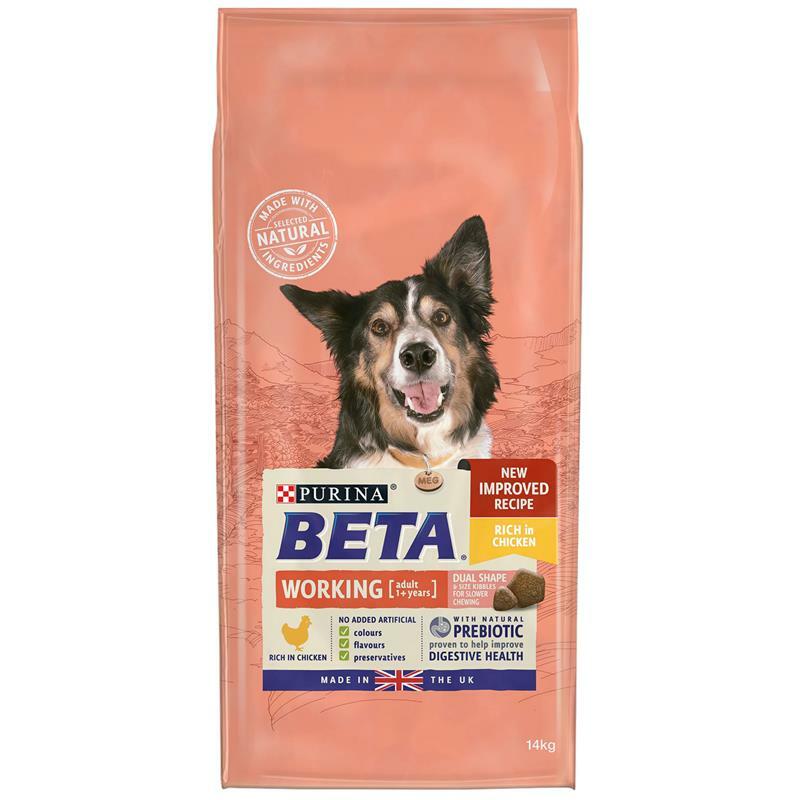 BETA Adult Working Dog Dry Dog Food Rich In Chicken - 14kg. The BETA adult dry dog food has naturally tailored nutrition for working dogs that includes essential amino acids and a high level of antioxidants to support muscle health and to maintain levels of condition during highly challenging active periods. It is also specially formulated with selected natural ingredients and a natural prebiotic to help support digestive health.